Listen on the New Moon - then should you wish to, listen again and again to benefit further from your insights until the Full Moon. Each New Moon is a new beginning; a blank page, or clear space into which you can imprint your creative ideas and clarify what you wish to manifest. As you build a stronger relationship with the Moon and connect more deeply with the cosmos – you will see, sense and know yourself more fully. Create your special New Moon sacred space by lighting candles and incense. Tune in, relax and journey within. In collaboration with Astrocal Moon Diaries. Your destiny is written in the stars, and it is your job to ground the magic of who you are and create your most authentic life here on Earth - as above, so below. Set your goals for the year ahead - and make them big! Draw up the Master Plan, either on paper, or in your mind’s eye. The small stuff will fall into place if you focus now on the bigger picture. Imagine yourself having achieved your biggest goals - feel the success with all your senses. Weaving a collective vision for humanity. Pouring the waters of our own unique self into the ocean of creativity. Allowing transmutation of self-limitation to occur effortlessly. The new Moon in Aquarius calls you to move beyond your personal hopes and dreams and instead question how you can be of service to a changing world. An opportunity to consider a deeper truth, a collective wisdom, a shared vision for the future of our beloved planet. Time to think about playing a more positive part in the creation of a new world, perhaps. Each individual is responsible for bringing in this new, awakened life force - and for grounding it in their own unique way. Take responsibility for a bigger, unified vision - with greater consideration and care shown to all sentient beings. This new Moon invites you to connect more deeply to the power of the group mind. Change can occur when people come together - united in their love and support for one another and their shared environment. Challenge all beliefs, thoughts, perceptions and judgments which suggest you are better than others - or separate from them. Instead open your mind to collaboration, and create something inclusive and sustainable - something you will be proud to pass on to future generations. Drop into the dreamy waters, let go into unknown depths - emerge restored and refreshed. The new Moon in Pisces invites you to explore your inner world through creativity, art, music and dance. Time to express yourself. Let what is hidden bubble up through colour, movement and sound. Compassion for yourself is required. Feel into the shadows of the past and create the space for limitations to be released through some kind of creative pursuit. You are the creative expression of a magical Universe. You are both the artist and the canvas, the song and the dance, the writer and the story. Paint with passion. Sing and dance to your own unique rhythm. Write the hero’s journey, rise up from betrayal, despair and tragedy and see yourself re-write history. The stage, the book, the story are all yours. This beautiful Universe has given you everything to play with and explore - so that you can discover its true bounty, wonder and awe. Whether it is your own depths you feel, or that of those around you - or a deeper calling from the Earth and the Cosmos - trust your inner guiding wisdom and submerge yourself in the power of your own imagination. A time of high energy and new beginnings, and a desire to get things moving. But can you refrain from jumping in too quickly and instead just patiently ponder how best to proceed. A time to reflect and consider what possibilities may lie ahead. And instead of acting first and thinking later, just stop and be still. In the stillness you can tap into the wisdom of this powerful moon and harness its energies to help propel you forward - but first sit and just Be. Sometimes we just don’t know what lies ahead and a time of deep inner reflection can give strength and clarity. We can sometimes be too quick to think we know it all and can miss the opportunity to be guided. Learning to trust your greater guiding wisdom and intelligence will help you navigate your way through even the most challenging times. Let go of expectations, and instead follow your inner wisdom. The path ahead may not be what you think as you are not alone on your journey. You are part of a much bigger cosmic plan which is naturally unfolding - and from this centred place of intuitive knowing propel yourself forward with great gusto. 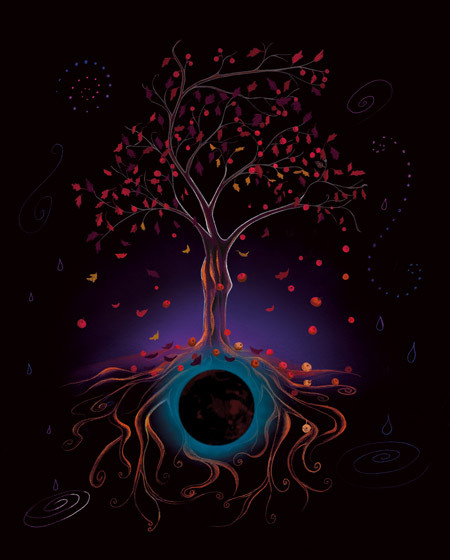 Utilise the potent energies of this new Moon by planting a seed; a metaphorical or a physical one. Focus first on the richness of the soil, the pure magic within the seed and the tender nurturing required for it to thrive. You are like a seed of starlight here on Earth, so full of potential. Get your roots down deep into the earth, and tap into the abundant riches of our beloved planet. It takes time for a seed to become a plant. It takes time for shoots to appear above ground and for the stalk to rise and first leaves to form. The growing plant never worries about whether it will make it, or be good enough - the growing plant just is. Acknowledge the present moment. Show gratitude for your physical body and the opportunities that being embodied offers. Appreciate yourself and all the inevitable changes, and just be here now. Make time to luxuriate; a massage perhaps, or a delicious soak in the bath with salts and essential oils. Give thanks as you mindfully pamper the wonderful vessel which supports you every day and perhaps agree to treat it more kindly with both words and actions. If you were to take a mirror and see yourself in a true light, what would you see? Is there something you would tell yourself, some advice you would give? And how would you receive those words? Before looking to anyone else, first look to yourself. Reflect deeply in order to know all that you can about your viewpoint - perhaps challenge any limiting perceptions you have. Befriend the You in the mirror, and learn how best to communicate so that a positive relationship can be built. help you explore the possibilities now offered. Write about what you have to offer; whether creative or practical. Note what new skills you would like to learn, or training you now require. Use the power of this new Moon to set the intention of expressing your true essence. Much growth and change has occurred, and yet still there is more to come. It may be a time of high energy with many commitments of things to do and places to be - but finding time for your own gentle retreat could really benefit you at this sensitive new Moon time. Nurturing yourself is an essential part of your journey, especially if you are responsible for caring for others. Feel your roots in the abundant earth as you stretch up and out. Feel the infinite embrace of the cosmic womb, supporting your unique creative expressing. Feel safe to let go; trust and rest in the sacredness of the Mother Moon’s loving energy. Open your heart, observe gently the tenderness and vulnerability within. With kindness and compassion for your beautiful self, ask for the guidance you need to restore, heal, resolve and transform any family issues that you feel would otherwise keep you from opening your heart further. Sensitivity can be such a wonderful gift, though at times we can feel overwhelmed by our feelings and the feelings of others. Take time to retreat now, and feel the true strength and power you have within. Let go and trust - you are loved more than you know. Have courage brave heart, for you are a sovereign being. Take centre stage and radiate your own special magic. It’s time to be who you are and express your unique creativity. This new Moon gives you a much needed boost in strength and confidence. You are energised, upbeat and enjoy entertaining those around you. Sitting back to watch the show is no longer enough, you now have the leading role. A fun time with friends could be on the cards, but equally an opportunity to heal and transform your inner-child through play. Everything is effortless and joyful, it may make you wonder why at other times you can feel so resistant to enjoying a fulfilling life. It takes courage to express yourself, and be who you are and the potent energies of this creative Moon will support you to do this. A child who loves to sing, dance and play is authentic in their self-expression. We hide so much of who we are, and often suppress our creative flow for fear of being seen. great it feels to be a powerful creator. You are the star of your show. Come down to Earth gently with a new sense of priorities. When you care for yourself and your planet as one then you really are in service to a much greater whole. This new Moon can help you assess the areas of your life which need attention. Make a plan of action, in fact get your pen and paper ready, it’s time to write a list. Your health and wellbeing should be a priority. Taking care of yourself is the best preventative medicine. Eat right for your body and increase health and vitality. Enjoy locally sourced, organic fresh foods where possible. Make purchasing choices that support you to live harmoniously with your planet. Time to live an even healthier, greener, more sustainable life. Making a difference in the world should start from first base; you and your immediate environment. Write a list of changes that you are ready to implement, and get to it. Organise your life in such a way that you feel relaxed and in control of any details, whilst trusting that those things you are not in control of will be taken care of. Get your house in order, and then relax and enjoy. Look back at how far you have travelled and the challenges you have overcome. Look at the road ahead with excitement and optimism, and then press the ‘pause button’ - it’s time to recalibrate. Whilst on pause take time to consider the true beauty of your life and the natural environment which supports you. You have all the time you need, there is no rush to do anything - slow down and smell the roses. Spread a little peace, love and harmony in whatever way you can. This pause can be a gentle reminder to attune to your sacred self and be present. The true you of you is always available and yet perhaps you get so busy and distracted that you sometimes neglect what is really important. You are worthy of some special time and attention; a little self-love can go a long way. Prioritise whatever it is that makes you feel good and just enjoy it fully without attachment, judgment or agenda. Find a way to luxuriate this new Moon. Rest, centre yourself and enjoy a moment of stillness. Connect to your inner guiding wisdom; the intelligence of your sacred heart, and a natural recalibration will occur. Face to face with the shadow, embrace this sacred dance. No part of you can hide forever as all must be revealed. And through the richness of such observation, truthful reflection and integration, a powerhouse of wisdom will awaken. Like the deepest, darkest well which seems to have no end; the sacred waters of this new Moon energy invite you to dive in and see what you can discover within these hidden depths. You are an infinite being, with no beginning and no end - and yet you have taken this physical form to explore, learn and play. The complexities of the emotional deep; tides, turbulence, reflections, shallows, uncertainties, stagnant pools in places and a constant flow in others, can be quite a ride. Whether you choose to rise above the waters and get a higher perspective or dive into the hidden depths releasing the blocks and stagnation that affect the overall flow - this new Moon energy is powerful and transformational. Facing your fears and looking into the eyes of truth will inspire, enrich and support you. Those shadowy places can seem scary, but hidden deep within are the treasures that you seek. Child of the Universe, you are so bright, made of beaming Light - let us see your vision, hear your heart song and playfully follow you as you dance your way into a new awakened world. Time to emerge, and see what you have created. Anchoring your unique gifts and talents in a practical, useful, grounded way can be challenging. The blessings that you have are abundant, and they are not just for your own enjoyment - these are pieces of a rich tapestry being woven into a unified vision for humanity’s future here on Earth. This new Moon invites you to see the bigger picture and expand your creative pursuits so that you can bring your own special magic to this changing world. If you have ever felt that you don’t fit in, or you don’t belong then perhaps that’s because the old world was not the place for one as beautiful as YOU. A new world is awakening. There is a perfect place with in it for YOU. Move beyond the limitations of what has been and embrace the transformational opportunities presented. Beam like the child of light you are and true, abundant magic will be your way of life. Celebrations, invitations and social engagements abound, but will you take the time you need to slow your busy mind? Step back from the action and reflect. Energy may be low, but expectation could be high. This new Moon invites you to rest, meditate and journey within - even if just for a short while. Recent interactions with old friends or family members may have been challenging. The stories of the past may have served you before, but there is now an opportunity to restructure your thoughts and build a new framework of perception to support you to move on and up in your chosen field. A time of inner reflection can inspire a different perception. Many people live their life through conditioned responses and are restricted by the structures of an old paradigm. As these structures break down it can feel as if you are on uncertain or rocky ground. Deepen your connection to your true-self and feel sure-footed through times of structural reform. A new year can bring renewed hope, and fresh optimism - but first you must reflect. This new Moon provides an opportunity to look at life and assess how to build a strong foundation which will support you in a new awakened world.